Marketers have a plethora of tools at their disposal. They have marketing automation platforms, social network tools, ad networks, and much more. But what do they all have in common? Automation is a marketer’s favorite word to hear when they're considering a SaaS tool. The ability to schedule and release content at a certain time or date makes everyone's lives easier. That's why automation is part of the Uberflip platform—to help marketers keep their content calendar on track! Uberflip's scheduled tasks feature allows you to set up times and dates for your content, CTAs, and featured items to go live. This lets you and your team get days, even weeks, ahead of your content calendar by scheduling tasks to show new content on a regular basis. 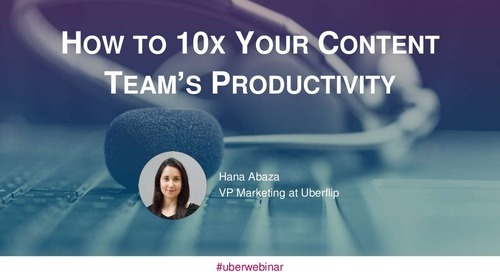 Here are a few ways that Uberflip can help you with content automation! This is the most common scheduled task that we see at Uberflip. It allows content creators to go through and actually start writing content that may not be coming down the pipe for a few days or weeks. Usually when you create a new piece of content, you want it to be front and center—at least until the next piece of content goes live. So let's take a look at how to do this! First you need to create a blog post and future date it so that when it appears as the first piece of content in your Hub, it displays the correct published date. You can use the feature item task to allow this piece of content to bypass the chronological order of the Hub and remain at the top. Feature on March 17 at 12:01 p.m. This is another very common use case for our scheduled tasks, as CTAs are the bread and butter of the lead generation aspect of the Hub. Let's say you have a big event coming up in the next month. You plan to heavily promote it in the weeks leading up with specific relevant content, and you want to start capturing some information from users viewing the content. This is where you can schedule a CTA to go live within certain Streams for a specified amount of time. After you have created the CTA and set the placements, you can start to schedule. Select Schedule to set up the time frame you want to show this specific CTA. In this example, the CTA will be shown for eight days within the Hub within relevant targeted Streams. This is something that we actively encourage our clients to do often. Sometimes when you create a piece of evergreen content, it will be relevant for your users for a long time. For example, we have this piece of content that continues to get great results on our Hub: Beyond Your Vs. You're: A Grammar Cheat Sheet Even the Pros Can Use. Using scheduled tasks will allow you to bring those pieces of content back from the grave, and give new life to the content, generating new buzz from your old content! These are just a few ways that you can use Uberflip's scheduled tasks tool. You can see how much time it will save you and how much more life it can add to your old content. 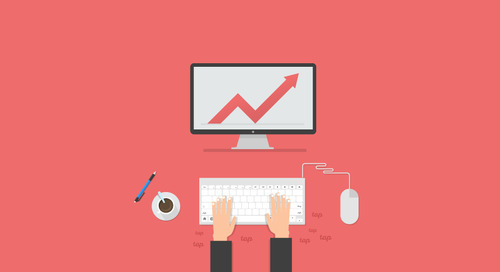 Having the ability to make your posts and CTAs appear when and where you want will ultimately increase your blog views, and enhance the way your users interact with your content. So, what're you waiting for? Start scheduling!